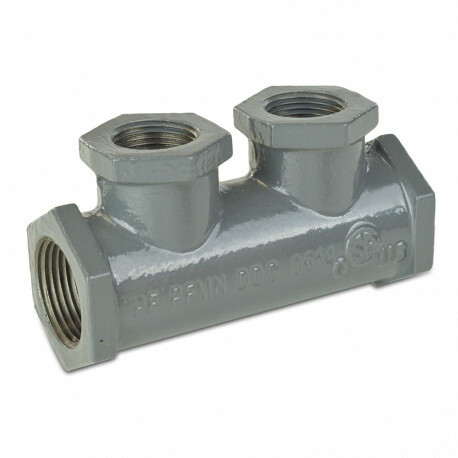 One-piece, #150 class, epoxy coated malleable iron gas manifold with (2) 3/4" FIP branches and 1" FIP trunk inlet/outlet connections. Universally compatible with all CSST pipe brands. Dimensions (L x H): 4-5/8" x 2-3/8". CSA listed.